Oh, that’s just so mean! Only nice things should be said about Cheeto Jesus!!! Editorial cartoon by David Horsey, Los Angeles Times. One of the most common complaints of recent days has been the lack of pro-Donald Trump cartoons and letters on the opinion pages. First, let’s address those cartoons. Readers of the statewide editions of the Arkansas Democrat-Gazette will recall that we have our own house cartoonist, who lampoons all on the political spectrum with equal aplomb. We also use six cartoonists through syndicates. (The Northwest editions publish a few different cartoonists, but the syndication contracts cover only those editions.) Cartoonists Michael Ramirez and Lisa Benson are dependable conservatives, Nick Anderson is mostly liberal, and Signe Wilkinson, Clay Bennett and Bruce Plante, like our John Deering, seem to be pretty much moderate free agents, though all have moments of obvious leanings one way or the other. Editorial cartoon by Dana Summers, Tribune Content Agency. 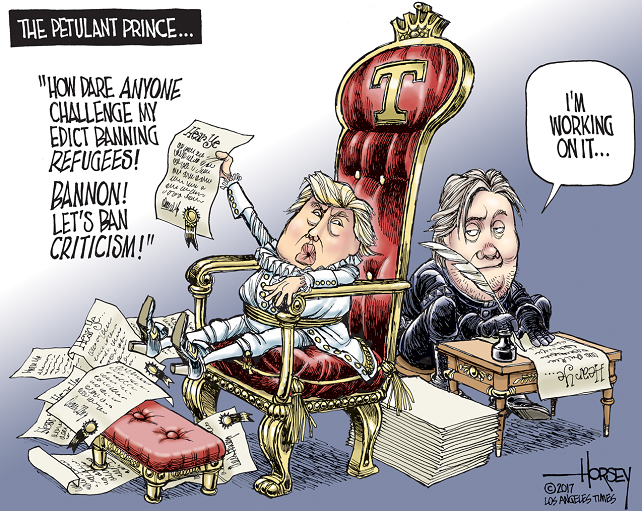 When even the staunchly conservative cartoonists we use have trouble coming up with pro-Trump cartoons, we’re kinda stuck since cartooning isn’t really like Burger King where everyone can have it their way. A quick cruise through the right-leaning cartoonists on GoComics revealed that the ones we use aren’t the only ones struggling. There are a few cartoonists who seem to draw nothing but pro-Trump cartoons, but we don’t use them … without variety, there’s not much to draw readers in unless they’ve all drunk the Kool-Aid as well (this would apply no matter who the leader was, or what point of view was espoused). Who wants to see the same cartoon every single day? Naw, cartoonists treated Obama with kid gloves. Editorial cartoon by Nate Beeler, Columbus Dispatch. 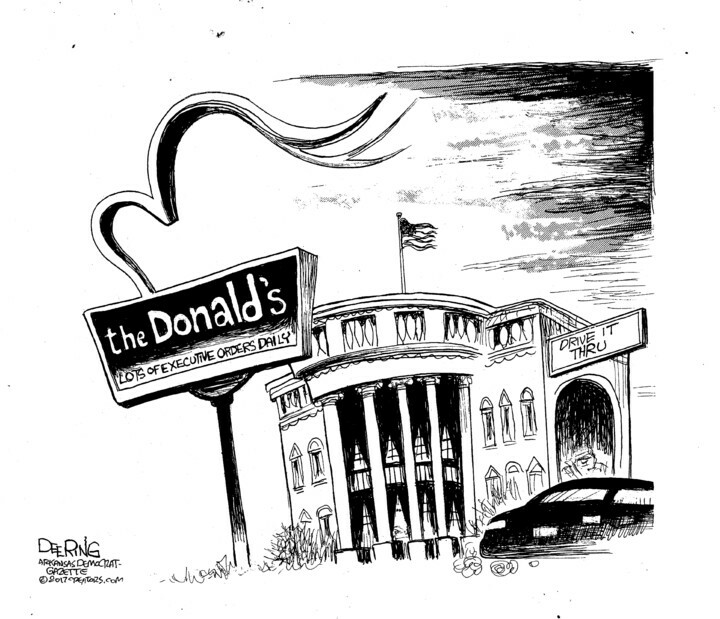 Deering, my favorite cartoonist, artist and generally all-around fun guy, said when I asked about the dearth of pro-Trump cartoons that he was reminded a bit of the second George W. Bush administration, around 2006-2007. Editorial cartoon by John Deering, Arkansas Democrat-Gazette. Besides, when you have a president who can’t seem to control himself (someone take his phone away, please), it makes him an easy target for people whose job it is to mock just that sort of behavior. There’s also misunderstanding on just what a political cartoon does; some people are of the opinion that they’re supposed to be funny. The purpose of an editorial cartoon is to make readers think about issues; that might be with humor, but it just as easily might be deadly serious. This cartoon first appeared in the May 9, 1754, edition of Franklin’s Pennsylvania Gazette. Remember Benjamin Franklin’s “Join or die”? Hardly a laugh riot, but a truly powerful image, and generally considered the first American editorial cartoon. 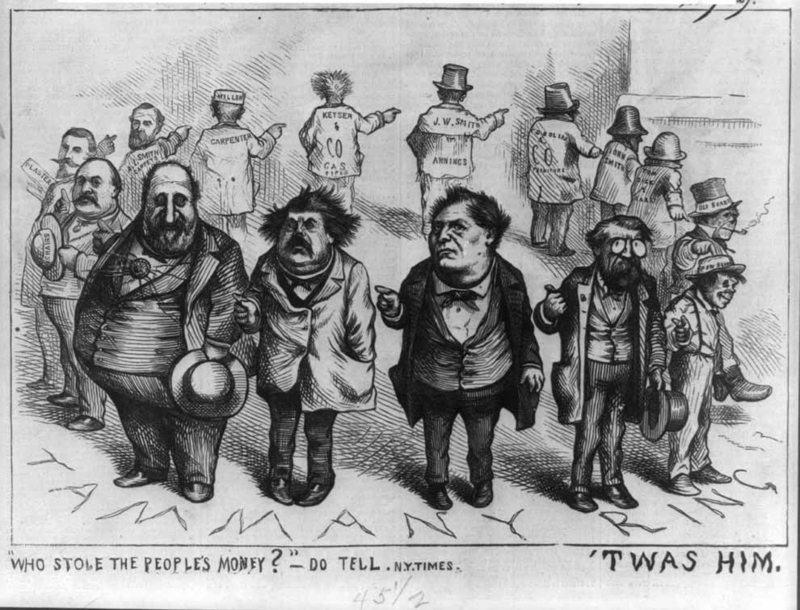 Or how about Thomas Nast and his Boss Tweed cartoons? Tammany Hall wasn’t exactly a fan of his work, especially considered he gets some of the credit for bringing down the Democratic Party machine in New York City. Nast is also remembered for his creation of the modern version of Santa Claus and the GOP elephant. Editorial cartoon by Thomas Nast found on BuzzFeed. 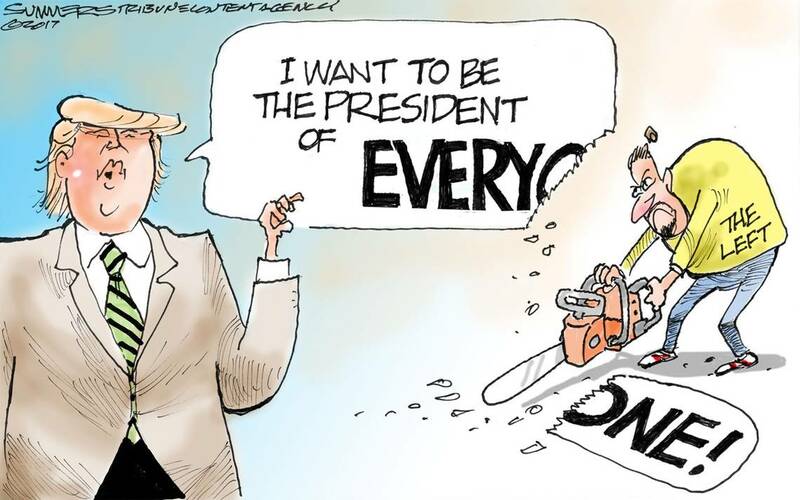 Some of the best editorial cartoons aren’t nicey-nice and completely nonoffensive; they highlight serious issues and public figures’ hypocrisy and misdeeds in a way that advances the conversation, and yeah, maybe makes a few people laugh. 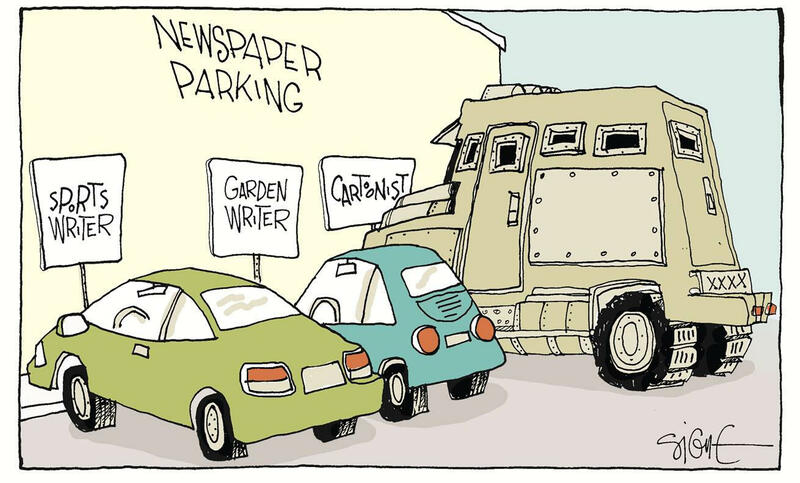 Editorial cartoon by Signe Wilkinson, Philadelphia Daily News. As for those letters, I can only work with what I have at a given moment (and right now I’m plowing through a documentation nightmare). Sometimes there will be more pro-Trump letters, sometimes more anti-Trump letters. And strangely, some people write about things that have little to nothing to do with Trump (OK, I love those, I admit it). Yet when I look in my folder of letters on which I’m awaiting an answer, the bulk of them tend to be conservative. So, one easy way to get your letter in if you’re emailed or called about it is … hmmm … maybe you should answer. Pretty much every day now. 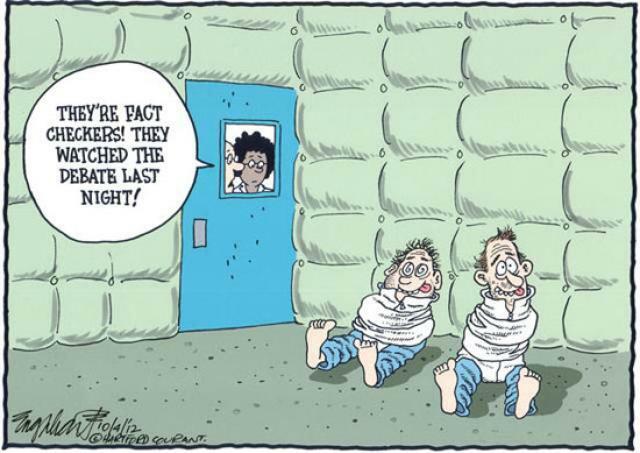 Editorial cartoon by Bob Englehart, Hartford Courant. Also remember that I do fact-check, but it takes longer now since it’s just me. Still, there are letters on both sides of the spectrum that fail even a quick check (such as a viral hoax, or a quote that was first recorded decades after the reported utterer died), so be sure of what you send, and attribute your sources if possible. And no, I’m sorry, but I can’t let you know if I can’t use your letter because—again—it’s just me. And most definitely remember, no personal attacks against other letter writers. Focus on what the writer said, not on the writer (so nope, no calling a writer stupid, idiotic, etc.). I know … it’s awful tying your hands like that … especially those uncivil writers who lament the lack of civility. Awww. Yeah … that’s what she meant! There are a couple of things I haven’t commented on, and I can’t hold it in any longer. Because, ya know, I’m in the media and I just can’t help it. 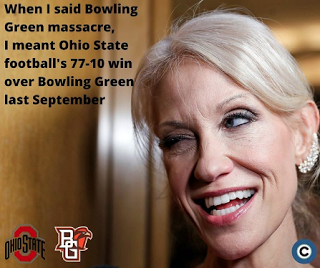 First, of course, is KellyAnne Conway’s gaffe about the “Bowling Green massacre” … you know, that thing that didn’t happen. She tried to walk it back the next day (not immediately, as keeps being said), saying that she meant to say “terrorists” instead of “massacre.” Except, as Cosmopolitan reported, a few days before she used the same phrasing with a Cosmo reporter in a phone interview. Politico reported that she also talked with TMZ about an “attack” in Bowling Green. Oops. Of course, there really was a Bowling Green massacre … in the 17th century, in New York, by Dutch settlers … but I’m sure that somehow ISIS must have been involved. Yep, he really tweeted that. Apparently only positive news about him is real. It’s gonna be a long four years … if he’s not impeached first. GIF found on Reaction GIFs. A little thank you now to those who were concerned last week about the lack of a column from me. Readers here knew what was going on, but others weren’t aware I was dealing with a serious illness suffered by the furry one. It turned out to be a kidney infection, which is a lot less scary than renal failure (which at his age is a big possibility, and he’s had kidney issues before). 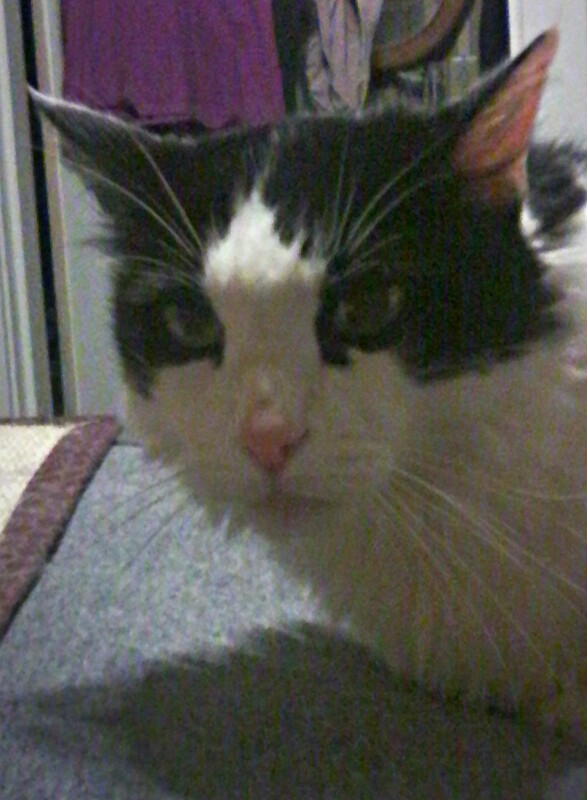 He’s still cranky (especially since he still has some antibiotics left to take), but he’s soooo much better. And he’s back to judging me again. Yea. He’s feeling much better now after rest and a course of antibiotics, but has had a rough week or so. I didn’t know about Luke. So glad to hear he’s on the road to recovery. That Bowling Green memorial sign is a masterpiece, worthy of wide recognition. But that first picture of Conway is going to give me nightmares tonight. On her best day I can’t stand her. She’s almost as bad as Trump himself. I can’t watch either one of them for longer than it takes to change the channel. They make me want W. back! Thin skin and impulsive behavior are not good qualities in anyone but in the president? I used to hope Putin would release his Trump videos, but now I’m afraid that Trump would nuke Russia, who would nuke us, which would launch Nuclear Winter, Speaking of cartoons (or was it Borowitz? ), I liked the one that had President Obama saying, “When I leave the White House, I’m taking the nuclear codes with me.” I wish. I’m a bit late to the party, but I’m glad you addressed political cartoons in your column. I’m also a fan of John Deering, and I became a fan of Signe Wilkinson when I wrote a paper about her in an undergrad class (maybe Theory of Rhetoric). 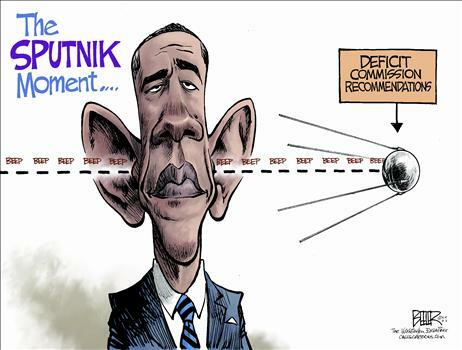 I can appreciate political cartoons I don’t agree with if they are well written. Mallard Fillmore, which is a political cartoon disguised as a comic strip, is horribly written. I wouldn’t like it even if I agreed with the mangy little duck. At least be creative when trashing all Democrats. Give Luke a hug from Charlie and me. I hope he continues to recover well. He is a handsome lad. Luke’s still not 100%, unfortunately, but he’ll always be my pretty boy. He napped with me earlier and was too adorable for words. John Deering is great! I met his son Will when I was editing an article he wrote for Quills & Pixels at UALR. I didn’t realize John worked in other art mediums (media?) until I read Will’s piece about his bronze sculptures. I drove to the Capitol to look at John’s pieces there. And we are almost birthday triplets, too! I sure hope Luke continues to improve. I will say a special prayer for him tonight. Naps with cats are special. Even after all the years I’ve known John, I still don’t know when he sleeps … he does so much! And of course, he’s always willing to whip up a piece of art when I need it for the page.